Andorra national ice hockey team will be playing for the first time at the end of the month. It will be hosting the first edition of the 2017 Development Cup, which will be held at the Palau de Gel d’Andorra in Canillo from September 29 to October 1st. It is being organized by the Andorran Ice Sports Federation and the participating countries are Portugal, Ireland and Morocco along with hosts Andorra. The project emerged at the international congress of the international Ice Hockey Federation that was held in Moscow in May of last year. “40% of the countries do not play in IIHF Tournaments so in order to develop our sport we can play amongst ourselves,” says Aleix Mañosas, vice president of Andorran Ice Sports Federation. Of the conversations that took place in the Russian capital came the idea of ​​the Development Cup, which “as a future project can go far if everyone implies”. The international Ice Hockey Federation is not officially involve in it, but it supports some members of its structure to disseminate it through its means. Argentina wanted to part in this first edition but could not make up a team. For the next editions there are interests from countries like Greece, Brazil and Armenia. “A competition like this helps to promote ice hockey in each country where it is not practiced as much, and in addition to making it known it is a way to make new partnerships ,” says Mañosas. The intention is that the Development Cup event is to be a rotating tournament every year in selected country. This will be the first time the Andorran national team will compete. The coach will be Oriol Boronat, player of the Spanish national team and the C.G Puigcerdà. With his resume and “his experience we believe it will help bring our players to excel at an international competition”. Each team will be composed of a maximum number of 18 players. On September 29th and 30th the Development Cup will begin with the teams facing off each other. The first two teams will play the final on October 1, and the remaining two will play for third and fourth place. Instead of playing three periods of 20 minutes, each period will be 15 minutes. The New Zealand Ice Blacks have turned up the heat on Australia, after taking out game one of their three-test series at the Winter Games in Queenstown on Thursday night. 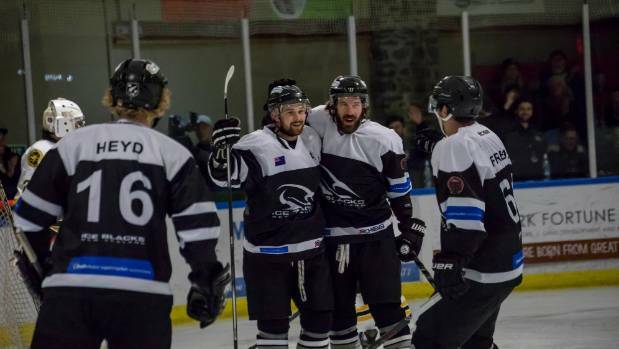 The 4-1 victory for the hosts was only their second in 16 match ups against their trans-Tasman rivals – the Mighty Roos – and sets up an intriguing final two games at the same Queenstown Ice Arena venue over the next two nights. Both teams had recently returned from their IIHF (International Ice Hockey Federation) divisional world championships, where world No 38 New Zealand claimed silver in Division II Group B, narrowly missing promotion to Group A – in which world No 33 Australia claimed silver. While these three tests in Queenstown are sanctioned by the IIHF, they will not count towards world rankings, as it’s deemed a ‘friendly’ tournament. It’s the first time ice hockey has featured at the Winter Games since 2011, with it not being part of the last two events. Australia have brought a squad of 17 players, with five making their debut, while New Zealand are blooding six new players and utilising the low travel costs by running with a squad of 31. With a whopping minus-152 goal differential in 14 losses of 15 meetings heading into the series, the Ice Blacks were playing for some redemption, and they certainly came out meaning business in front of a capacity crowd. Period one saw action right from puck drop. The first penalty of the game went against the Mighty Roos and the Ice Blacks went into a power play. Andrew Cox redirected a puck along the ice from Paris Heyd and the hosts went ahead 1-0. With play at a particularly fast pace, the Mighty Roos camped out in the Ice Blacks’ zone and netminder Rick Parry was forced to make several saves. A quick breakout by the Ice Blacks saw Chris Eaden drive the puck into the Mighty Roos’ zone, followed by a quick drop pass to the high slot for Alexandr Polozov to finish and double the advantage going into the break. Period two began with the same velocity and end-to-end hockey. The Ice Blacks found a third goal after a breakaway by Heyd saw him with just the goaltender to beat, but the Roos headed straight back to the opposite end and hit back to make it 3-1. Late in the period the Ice Blacks were penalized and played the better part of the last two minutes short-handed and under pressure, but they held on. It was a tough battle for dominance early in the third and final period, but when Matt Schneider pressured the puck carrier and forced an error, Polozov was able to bag his second goal, and despite the Ice Blacks penalized and again down a player with a minute to go, they had done enough to secure victory.